^ Yanow, Scott. 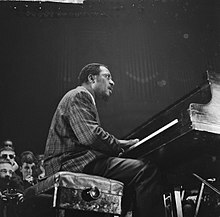 "Thelonious Monk". AllMusic.com. Retrieved 2012-03-31. 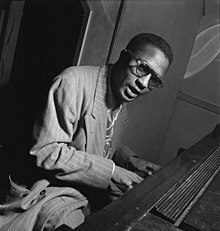 ^ "Thelonious Monk (American musician)". Encyclopædia Britannica. Retrieved 2012-03-31. ^ a b c d e f Graham, David A. (2017-10-18). 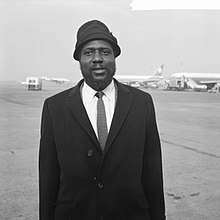 "Thelonious Monk's Quiet, Slow Conquest of the World". The Atlantic. Archived from the original on 2018-05-18. ^ "The 2006 Pulitzer Prize winners: Special Awards and Citations". The Pulitzer Prize. Retrieved 2007-11-12. This page was last edited on 15 April 2019, at 18:48 (UTC).